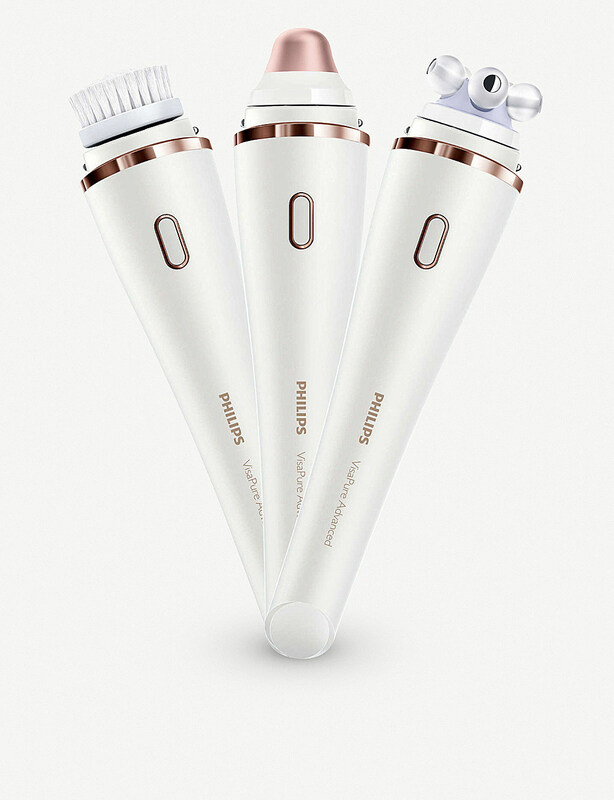 Using a 120-year long reputation to develop new skincare technology, Philips introduces the VisaPure Advanced facial device. 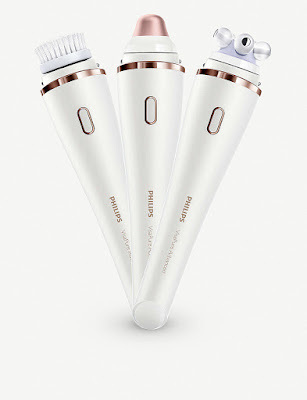 Proven to yield professional results at home, it features customised DualMotion technology to benefit all skin types. 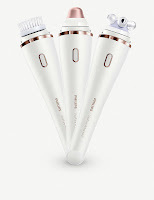 Each with their own purpose, three interchangeable heads work to increase brightness, cleanse and improve circulation, thereby uplifting the skin, leaving it feeling replenished and revitalised. VisaPure Advanced is equipped with Customised DualMotion technology. 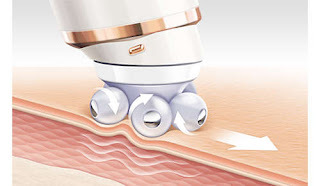 Each head that comes with VisaPure will have specified levels of rotation and vibration. Both the handle and the new attachments are equipped with an innovative NFC tag that enables advanced Intelligent Head Recognition. This means that the handle immediately recognises the specific head once it is put on. 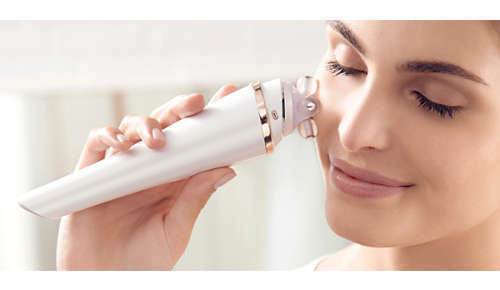 This way, you can enjoy dedicated Customised DualMotion technology programmes for different skincare benefits. Using the Revitalising Massage head with its Customised DualMotion programme, you will increase blood circulation and bring your skin to life. This brings out its natural radiance, leaving it looking revitalised and with a healthy glow. Thanks to the elegant and functional design of the head with its five small balls, it feels like 750 gentle finger tapping movements per minute. The Revitalising Massage programme lasts 3 minutes, and you can enjoy a facial massage several times a week. 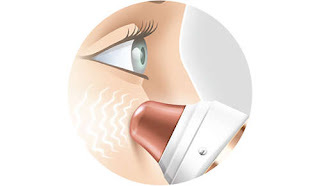 The Revitalising massage head has been developed with experts in Japanese facial massage. 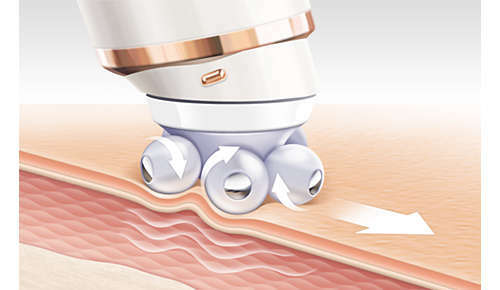 The dedicated DualMotion programme is inspired by world-renowned massage techniques. The massage technique known as Petrissage is known worldwide to deliver a deep-level massage that stimulates blood circulation and relaxes the muscles, revealing ultimately radiant and revitalised skin. 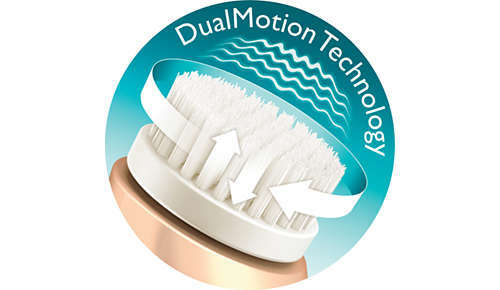 The customised DualMotion programme for Fresh Eyes delivers 120 nano-vibrations per second, for a gentle, comfortable and refreshing massage around the eyes. It is specially designed to be gentle on the thin and delicate skin around the eyes. The Fresh eyes programme is a short programme of only 30 seconds, so you can use it quickly as part of your daily morning ritual! The Fresh eyes head is made of a special cool material, with a premium ceramic coating, that gives tired eyes a boost of freshness in the morning.